Underwater photography can be tricky. Being denser than air, looking through water is akin to looking through glass in that light is subject to greater refraction. This results in several phenomena when you bring a camera below the surface. With a wide angle lens, these effects are exacerbated including magnification of the image, a loss of sharpness and color and chromatic aberration towards the edges of the image. To get around this, underwater photographers developed “dome ports”, devices which create an airspace in front of the camera’s lens and allow enough space for light to enter a camera’s lens in a way we are more used to seeing with the human eye. In short, Dome Ports reduce the difference in a captured image between footage captured above and below water, also making it possible to get some really cool shots of the transition between! The only downsides to Dome Ports is the bulk they add to a camera. A plus or a minus is the fact that dome ports are positively buoyant, which makes managing them underwater difficult but also means that hey will find their way to the surface if not ballasted down when they are released. GoPros in Dive Housings have a well established reputation for being exceptional cameras for underwater videography considering what you are getting for the money, but even they can benefit greatly from the upgrade to a dome port. While not the first on the market, Freewell’s 7 Inch Dome Port for the GoPro HERO4 and HERO3+ is a class act example of a mature and fully featured Dome Port Design. 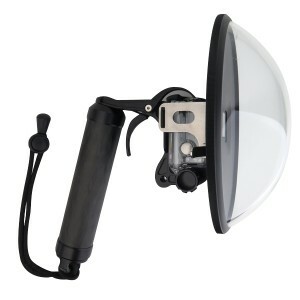 With an optically clear 7” acrylic dome mounted to a machined aluminium plate, the Freewell Dome Port mounts securely to the underwater housing of a HERO4 via an aluminium bracket held in place by a sturdy thumb screw. 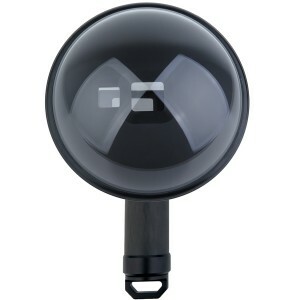 The interface plate is stamped out of marine grade stainless steel which is also the material that the lever to actuate the front button of the GoPro is made of. There is a small acrylic shielded window in the aluminium backing plate that allows the user to see the front facing LCD on the GoPro, a feature often absent from older Dome Port designs and homebrew builds. The aluminium rear bracket also features a cutout for the LCD on the HERO4 Silver Edition, which makes it possibly the most popular model of action camera for taking on dives. The only caveat is the caveat will not fit any HERO4 with a backpack. 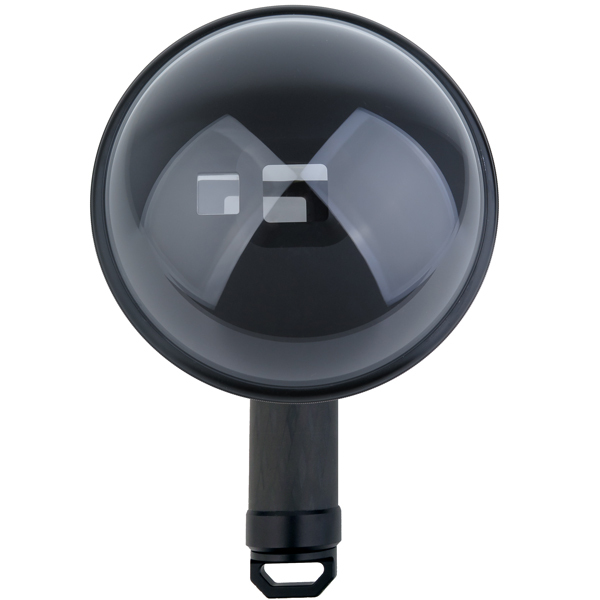 Freewell includes a small microfiber cleaning cloth and two spare O-Rings, the third is preinstalled in the dome. The whole kit comes in a plush foam lined nylon carrying case to keep the dome safe and scratch free between dives. Can you trust Depth Ratings? A question that comes up often is can you really trust the depth ratings on underwater products? Especially if the product doesn’t come from a well-established multinational company, that’s banking on a lot of trust. The truth of the matter is testing products to depth is for the most part a less complicated process than many would expect. To prove a point we built a small depth chamber with the intent of simulated depths of +40m (5 atmospheres ambient pressure) as measured on a dive computer. 5 atmospheres is the equivalent of 73.48 pounds of pressure per square inch. To put that in perspective, if the average person were to stand on tiptoe the forces on your skin would easily more than double that. So if 40m is not that big a deal, why do so many waterproof devices like GoPro housings still leak at that depth? The most common reason is dust or sand getting trapped in the rubber O-Rings or gaskets, which can allow water to come through under relatively low pressures. It’s crucial to be diligent about maintaining the cleanliness of the seals of all waterproof equipment before subjecting them to pressure. The Freewell Dome easily took to 40m without leaking. Our depth chamber itself needs some work as we had a bit of trouble maintaining pressure to do a longer test, but we doubt that we’d have any ingress of water in either case. How can I get this Dome Port? 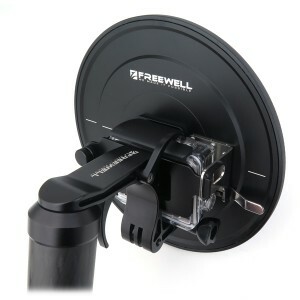 The Freewell 7” Dome Port is available on Cameralah.com with and without the Carbon Fiber Pistol Trigger at RM 660 and RM480 respectively. Freewell has come a long way with their product development and we look forward to seeing what else they’ll come up with in the future!